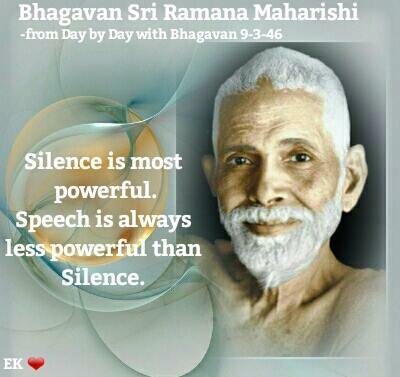 Bhagavan Ramana used to say that the highest spiritual teaching and transmission is only in silence. 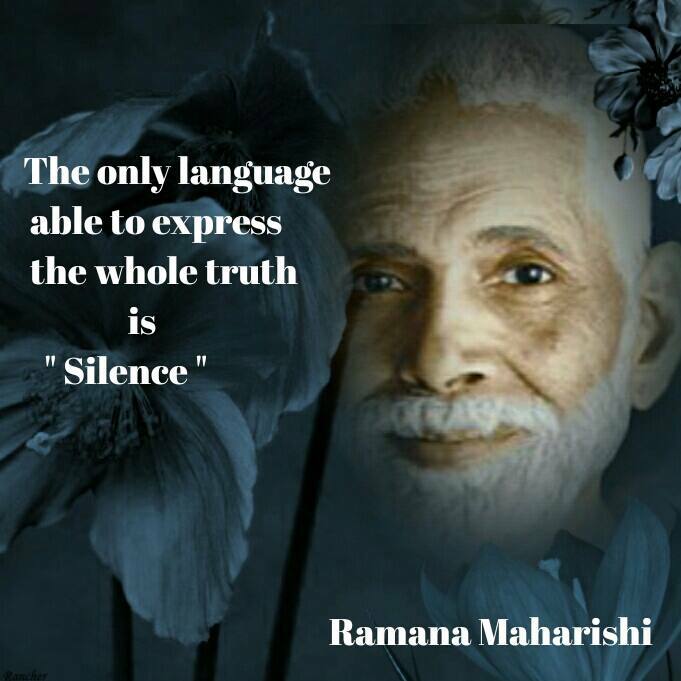 True Silence comes when there is complete surrender to God without any reservation. Then there is no room for anxiety, worry, or any other mental noise. In this sublime silence filled to the brim with peace and contentment, the fullness of awareness spontaneously reveals ItSelf as the Universal Intelligence. The Pure Infinite Being whose nature is Bliss. Photo art from Eden Kailash’s FB page. Have you ever been in the presence of someone and instantly felt their radiance reaching out to envelope you? No words are spoken but a tremendous exchange of energy is going on nevertheless…and this is why the silence of a sage can be like thunder, or like the gold of a quietly flowing river in the dying rays of an evening sun, transforming us from the core. Besides, the sage has fused with the Absolute, and there is no way he or she can share that experience with us in mere words…thank you for a great post, Harsh Luthar!